This is my first wedding cake after having my third baby. I am not going to lie, but I was afraid that it would be too much… and with the baby, it was. Here’s the scoop. We have a 4 tier wedding cake featuring ivory peones, yellow lillies and tulips. Each tier of the cake is different in height which makes it beautifully unique (client’s request, good job!). 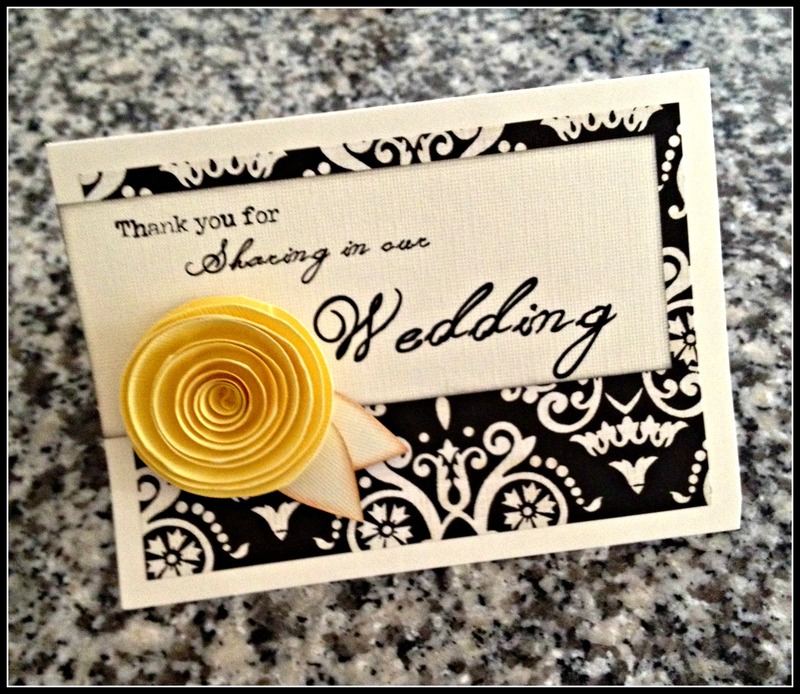 The two main colors, yellow and ivory while the accent color is black. Another thing you should know about the cake is that only one tier on the cake is real. Yes! 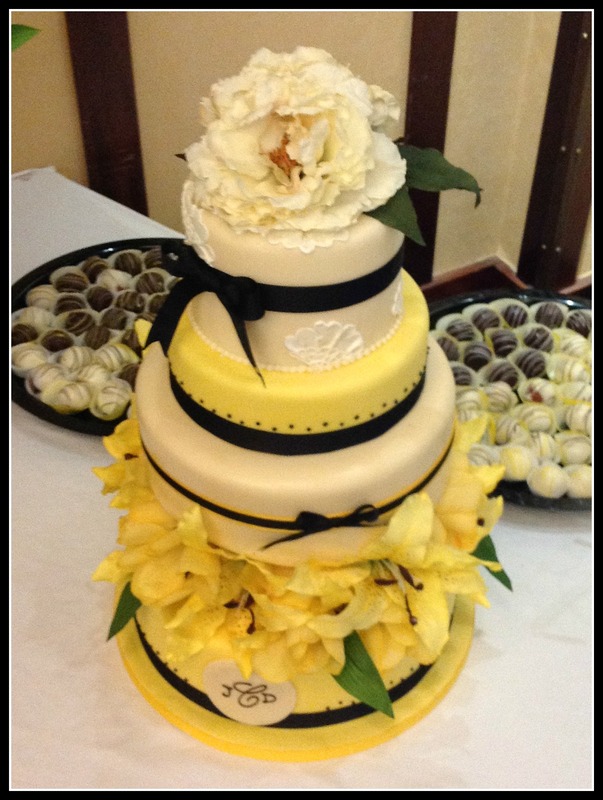 We offer cakes made out of styrofoam as an option to save on the total cost of the wedding cake. The third cake from top to bottom is the real cake. It was a delicious chocolate butter cake with chocolate buttercream. 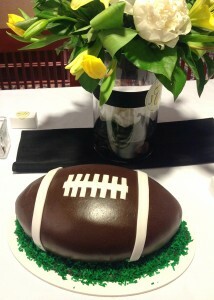 The groom got his cake also. For a football fan we made a football cake. He is a chocolate lover so his cake was also a chocolate butter cake with chocolate buttercream and covered in fondant. We also delivered a couple of sheet cakes. Flavors included lemon cake with raspberry filling and white caramel cake with dulce de leche buttercream. I never take pictures of the sheet cakes, but it is not much because we just cover them in buttercream. 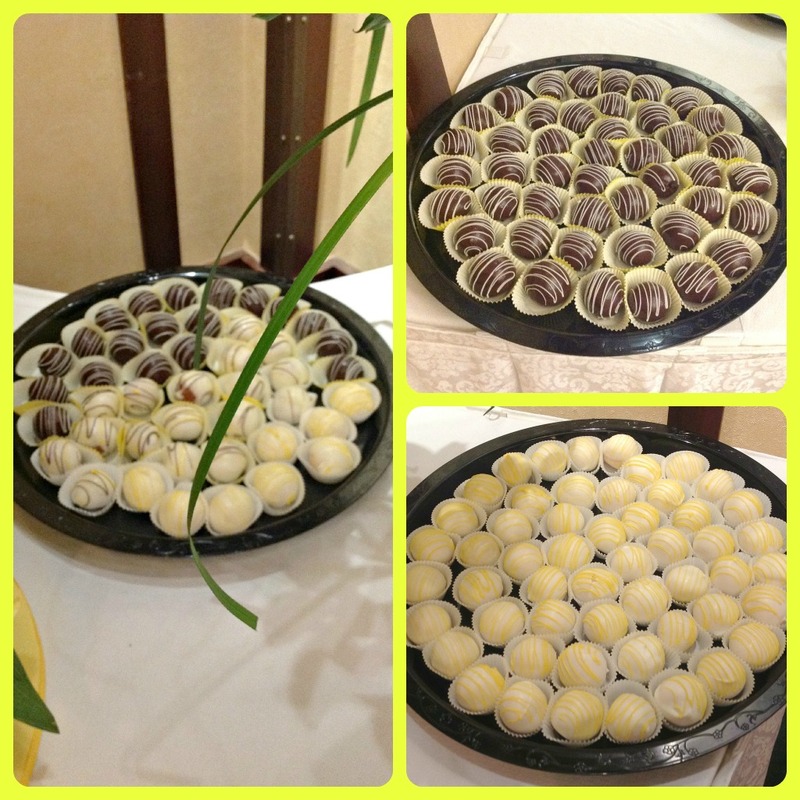 The client also requested Cake Truffles. Flavors included Chocolate cake with Chocolate buttercream, Strawberry cake with raspberry buttercream and White Butter cake with vanilla sweet cream buttercream. All were covered in chocolate/white chocolate and drizzled with swirls of matching colors. 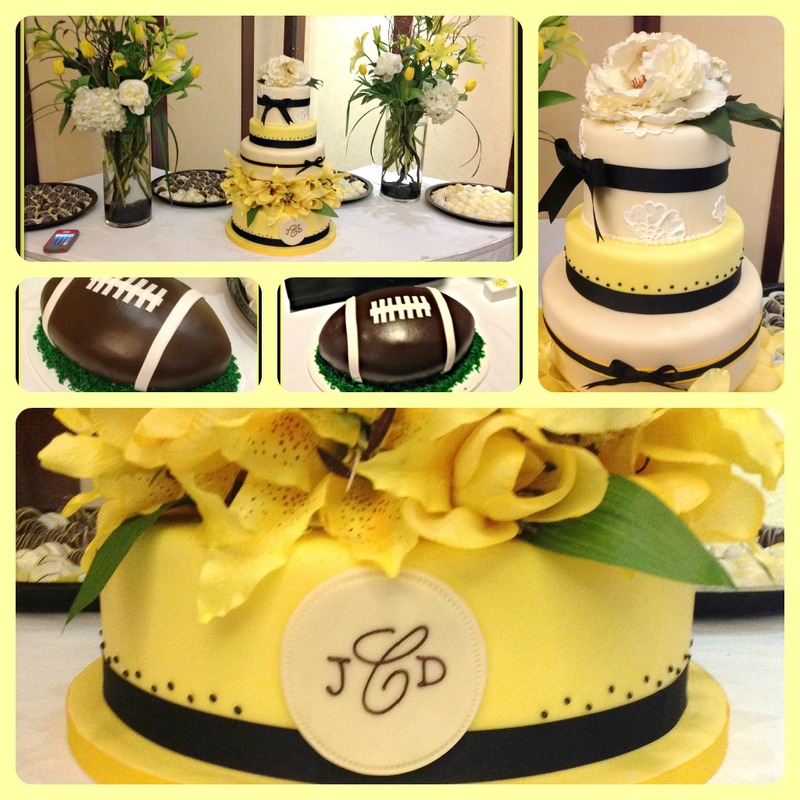 Here’s a collage of the wedding cakes. 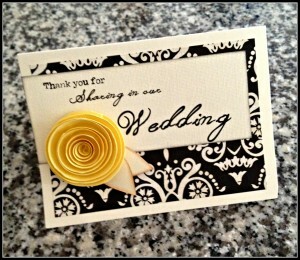 It was a delight working with this client. Here’s a beautiful Thank You card we received from her. We delivered the cakes and treats to the historic Hotel Pattee in Perry, IA. Thanks to Mayra who did such a beautiful job on all of our wedding treats! We received nothing but compliments on all of it- even from a friend who makes cakes in Denver. She thought it was beautiful! I would highly recommend Mayra to everyone!